1) The decision of the Rainy seasonal strategic offensive completely corresponds to the domestic and international situation and our subjective condition. It is a wonderful application of Marxist military strategy and tactics. It is a historic, far reaching, significant and epoch-making decision in the history of Party and revolution. 3) For the success of the strategic offensive, leadership must make contact with people. Each sector commander will go to a part of his/her administered sector and under his/her own guidance, materialize the above-mentioned aims, and guide the whole sector on that basis. Sector commander may go to that part of his/her administered sector where there is better work, that is, guerrillas, cadres, shelters, arms and targets. The direct guidance of the sector commander will be helpful only when he/she will be free from fear, conservatism and one-sidedness; when he/she will be able to apply Marxism in making military plan and actualizing it. On the contrary, if sector commander is afraid, conservative and one-sided and unable to apply Marxism in making and actualizing military plan, it will be losses than gains, local initiatives will be obstructed, cadres will be demoralized and no military activities will develop. 4) If guerrillas have courage to make proper plan and actualize that, it is much easy to capture Police Posts or Stations. 5) At the present stage, commando attack is the appropriate form of capturing Police Stations or posts. 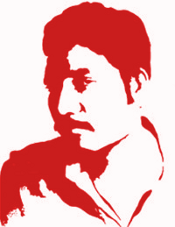 With tactics, enter by surprise attack or continuous firing by not giving any time to Police or Raxi Bahini (Raxi bahini was a genocidal counterrevolutionary paramilitary force formed by Awami Regime to tackle Marxist-Leninist-Maoist People’s War—CPMLM-BD) to prepare. Do not apply Raiding Police Stations or Posts by taking position via encircling that. In that case, it will not be possible to capture. Rather reversely, we shall lose men and arms. 6) On the basis of proper analysis of ours and enemy condition, we have to achieve courage in thinking. This is why they are inferior to us despite being superior to us in terms of arms and men. Targets can be analysed as target of attack, resistance and seizure. For example, Lohajang Police Station, CI Office and Bank were targets of attack. Among those, CI office was target of resitance while Thana (Police Station—CPMLM-BD) and Bank were targets of seizure. Comprehensively, Thana was the main target among the three because the existence and sustanance of the other two depend on it. Among the targets of seizure, the main was Thana and the secondary or second was Bank. On the above mentioned analysis, we divided our forces into Main Force (no. 1), Secondary Force (no. 2) and Reserve Force. The main group took the bravest, most experienced and best guerrillas and arms and it was made the strongest. Reserve group was formed to tackle special situation. Main group and reserve group were deployed to attack and seize main target while the secondary or no. 2 group was deployed for resistence. It was determined that main group would capture Thana and Bank one after another. Contact and coordination was fixed among various groups. Because we were inexperienced, we made plan of attacking and seizing the main target and resisting the second (CI Office); that means, we planned for attack and seize a single strong enemy position. Therefore, in initial stage, we should make plan of attacking and capturing a single enemy position. When experienced, make plan to attack and seize more than one enemy positions at a time. Carrier group was formed to carry seized goods. Determine principal task and secondary task. At the same time, avoid one-sided error. That is, do not deduct or neglect secondary tasks when doing main task. In Lohajang, principal task was to capture Thana while second and secondary one was to resist CI Office and the third and secondary task was to capture Bank. Main group and reserve group were deployed for principal task. For second work, second group was deployed. For the third one, main force was deployed. After successful accomplishment of the main task, second task became principal. After successful accomplishment of second task, the third one became principal and in terms of seizure, second task became principal, that is, seizure of Bank became principal. Thus, periodically after principal task, secondary ones became principal. After accomplishment of principal task, step of transferring seized arms and ammunitions were taken because those were not needed to use in second and third task. Had those been needed in second and third task, those would be used. Secondary works were not deducted when doing principal work, so, we had economic gain and financial crisis diminished significantly. If secondary task-the seizure of Bank was deducted when doing principal task, we could have much less gain, or if we had deducted second work, enemy could advance from there and with the help of Thana, it could make counter attack to throw us in difficulties. 9) During the attack, Total-in-charge will take position in reserve force or near so that he/she may provide proper solution of any changed situation. 10) In the whole operation, we need to determine works, principal and secondary, which will be principal one after another successively and take measure accordingly. These works will become principal one after another successively. If any one of those works is not completed properly, the whole operation will be defective. For example, in Baidder Bazar operation, because the plan of transfer of seized goods and disperse of guerrillas were not appropriate, operation failed despite its success up to seizure stage. Eventually seized goods were lost and several guerrillas lost their lives. In another case, on the basis of investigation and approval of the last moment, an obvious operation was canceled. Many operations were canceled due to defect in stage of gathering and starting for attack because of lack of proper coordination among various groups, arms and transport. 11) For regional operation, inter sector or inter sub-sector coordination is needed. Already we have managed such inter sector coordination so that we can help each other in arms, guerrillas, transport, money, investigation and maneuvering etc. It will be more favorable when wireless connection will develop. 12) As we have fixed some regions of East Bengal as struggle areas and some for rear areas as a whole, so we have to work by fixing struggle and rear region in a single sector too, so that we do not lack of shelter and problems of sustenance are not created. 13) Considering our and enemy condition, at present, brave and smaller commando troop (guerrilla troop) is favorable. It is easy for a small group to administer, shelter, secretly gather, train, move, make surprise attack, disperse etc. 14) Other than waging massive guerrilla war in a single region, we must make all-out effort to spread guerrilla war to vast regions. Our main objective is to spread guerrilla war in wider regions. If we spread guerrilla war in wider regions, enemy pressure will have to scatter than concentrating on a single region, our local guerrillas will be active and development of party will enhance, we shall be able to utilize mass discontent, while on the other hand scarcity of arms and money will diminish in various regions. Form Mobile Commando Unit by taking the most experienced and bravest guerrillas, commanders and organizers to spread guerrilla war to vast regions. They will carry operation in various regions by taking local guerrillas. They will give seized arms to the local guerrillas. Local guerrillas will be trained in that course and massive transfer of arms will not be needed. 15) It is necessary to apply various military documents published by the organization and decisions given by comrade Siraj Sikder. 16) We must courageously utilize struggling morale of people, the fighting aspirations and initiatives of guerrillas and materialize the objective of strategic offensive. 17) We must learn from the experience of Lohajang and Jabra (Lohajang is a Police Station and Jabra had a police outpost that was captured by the guerrillas of the Proletarian Party. A lot of Police stations and out posts were captured by Proletarian party at that period—CPMLM-BD) and apply that. Already application of that experiences in Mymensingh and Barisal produced good result. The method of attack that was used in Lohajang and Jabra is bringing successes one after another. On the other side, various other isolated groups usually fire by taking position. So, they fail to seize. Therefore, we should utilize our positive and others’ negative experiences and ensure success. 18) With the help of the above-mentioned points and our own prudence, we must discover the laws of subjective and objective condition, adjust subjective with objective and ensure success. 19) The plan of the Rainy Seasonal Strategic Offensive and its real implementation have created wonderful situation for us and opened huge possibilities, especially created possibilities of carrying inter-regional combined guerrilla war with the help of Regular Force, solving financial problem and huge repercussion domestically and internationally. Serious spirit, enthusiasm and hope have been created among the people, sympathizers, cadres and guerrillas. We must continue to strive hard to make the Rainy Seasonal Strategic Offensive a success. Long live the victory of the Rainy Seasonal Strategic Offensive!